Need to attract new visitors and boost your organic and social media traffic? Below are 10 types of content that helped me do just that. Consider these content types next time you’re prioritizing what content to create. You must have heard it a hundred times that roundups don’t work. I disagree! Why? Because I did some research. 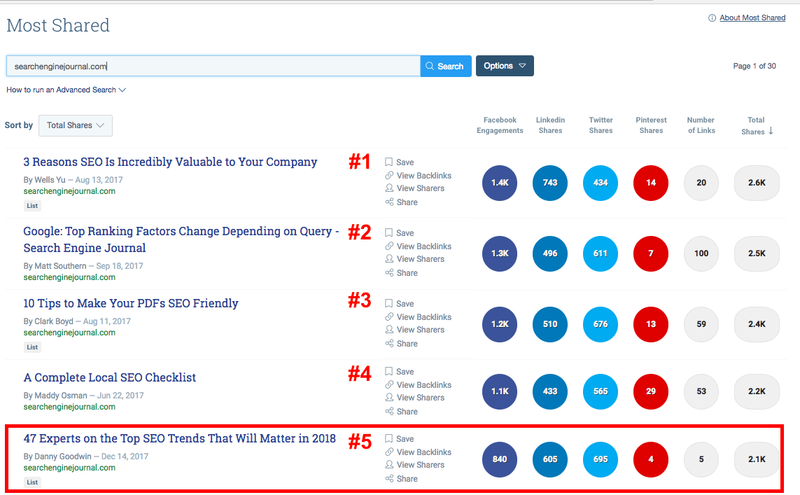 Using BuzzSumo, I found out that among the top 5 most popular Search Engine Journal posts was a roundup post (47 Experts on the Top SEO Trends That Will Matter in 2018) that had been published a few weeks prior to my research! Search for roundups with related topics and reach out to experts who participated in them. 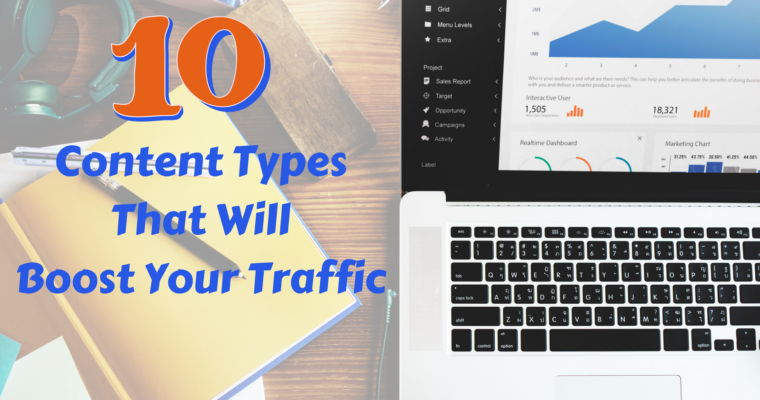 They are most likely to contribute to your piece, too. Prepare a small survey to speed up the process of collecting the answers. You can use Google Forms, but if you want for your survey to stand out, then I highly recommend to use TypeForm. Typeform is an online tool that helps people collect data more conversationally than Google form does. What sets Typeform apart from other survey platforms is a Flash-based form with a holistic design that really engages respondents by asking just one question at a time. Typically, it isn’t a very entertaining type of content that users look forward to reading. As a result, the bounce rate is guaranteed to be pretty high. 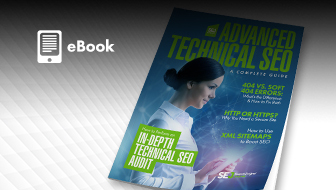 This, in turn, may hurt your overall site’s SEO performance. It takes a lot of time to collect enough answers. You have to invest a substantial amount of time to promote it across various social media channels, otherwise, it isn’t going to bring you many visitors. Webinars not only bring you traffic, but they also bring you leads. 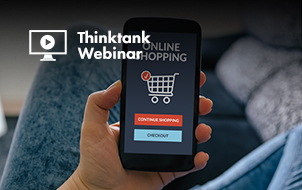 Webinars have a potential of boosting your traffic, help you build relationships with influencers, and also generate leads that might turn into clients or active community members. Well-planned and professionally conducted webinars help create conversations about the real world issues your product or service solves. You need a certain type of software, so get ready in advance. There are a lot of options out there: Adobe Connect, GoToWebinar, WebinarJam, to name just a few. Once you select the one you like, it’s always a good idea to test the software with your colleagues before your webinar goes live, and check whether the recording is working properly. 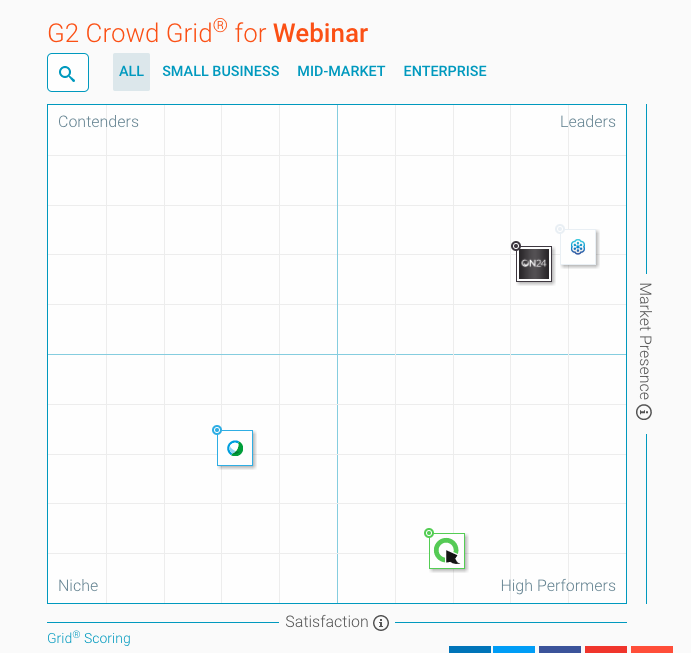 Based on G2Crowd score, the most popular platforms are GotoWebinar, On24, Clickmeeting, and WebexWebinar. I believe, Zoom deserves some credit, too, because it allows you to host a webinar with 100 participants, and you only need to pay 20 bucks. Just to give you an example, GoToWebinar is asking $89 for a webinar that accommodates 100 attendees. It’s exceptionally easy to convince an expert to take part in your webinar if he has recently been involved in an offline event. It’s easier for him/her to deliver another presentation by slightly updating an already existing presentation deck. To maximize the efficiency, after your webinar has aired, I would suggest writing a short blog post that will be a transcript of a webinar. Here’s a good example of how it can be delivered. If you don’t have a lot of email subscribers to send your webinar invitation to, then be ready to use paid channels. Otherwise, you and your colleagues will be the only ones listening to the expert you invited. And he will most likely never attend any of your webinars ever again. 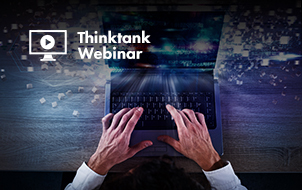 It isn’t that easy to come up with an awe-inspiring material for a webinar. Unless you’re a top-notch company that can easily gather hundreds of listeners, then your content will not be innovative. The leads that you’re going to generate will be very cold, so the chances that you’re going to convert someone into your clients right away are pretty low. These types of users require a longer conversion process that might last more than six months. Back in 2013, podcast subscriptions on iTunes surpassed 1 billion. Also, The Interactive Advertising Bureau (IAB) and Edison Research surveyed 953 American adults to learn more about their audio habits. Turned out, podcast listeners are “super listeners,” consuming more than one hour and 45 minutes of audio per day than the average American, and they spend more than 25 percent of their total audio time listening to podcasts. People are podcasting in record numbers, and smart businesses are getting with the program, too. Here are several ways how to manage your podcast. Select the topics that are relevant to your business and will be educational for your audience, and then search for people who are contributing content within this niche. To do that, use BuzzSumo or Ahrefs – both of which allow you to search for a specific topic across the internet in general or within a particular website. Prepare the list of questions in advance and send those questions to an expert, so that he/she has the time to think about some interesting insights he or she can share. Remember the importance of sound quality. So ask an expert to be someplace quiet for the duration of the podcast. Consider getting a microphone if you still haven’t. This will significantly improve the quality of your podcast. Mention some of the advice shared during a podcast in a blog post that promotes your content on social media channels. If you don’t support your podcast page with additional content, then it’s not going to rank well in Google. Basically, you need to also invest in content production besides planning and delivering your podcast. Preparing and finalizing an audio recording requires a lot of time and professional skills. If you want to feature your podcast on iTunes or Google Play, then you need to spend some time researching the matter and promoting your podcast’s page. Email marketing is as alive as ever, and there are myriad of reasons why people love using email. However, making an email series involving industry experts hasn’t gained much popularity among marketers. The production process this type of content is similar to one of the roundup. Plus, you can talk about your recent roundup in a series of your emails. In order to meet your audience’s expectations, it’s better to share some useful advice that can be easily put into practice. You can partner up with other companies by mentioning them in your piece of content. This will definitely get the word out there much more quickly. You need to design different templates that will allow you to deliver this type of content via emails. It’s can’t be published on your site, so it’s not going to affect your SEO traffic. It has to be continuously updated because you might be referring to features or particular requirements that have been removed or updated. For instance, Google Search Console has recently implemented a new interface and reports, which automatically makes all of the previously created content with tips and how-tos for the Google Search Console outdated. Are you among those few who decided to run email series with different experts, and now found yourself stuck with no creative ideas how to keep growing? What makes email series so wonderful is the fact that you can turn them into a collection of ebooks. You’ll need a skillful designer to accomplish this task with grace, so that your book has some good looking pictures surrounded by readable text in a nice PDF. You need to start with defining what chapters will be included in your ebook. Based on this, you can begin looking for experts that can potentially fit in your future piece of content, and after you find several candidates, start reaching out to them. 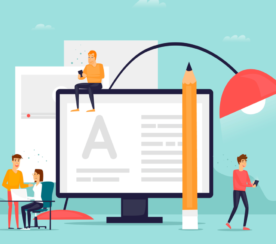 Besides having a strong outreach strategy and a thoroughly planned copywriting part, you need to plan your design because the final product of your work has to be a PDF file. If you’re functioning on a shoestring budget, then you can use multi-purpose tools like Canva. Unless you are the new HubSpot, you need to invest in paid promotion because it’s really hard to get the desired amount of attention for such type of content organically. Try to keep things real. You may not be able to convince someone like Joe Pulizzi or Larry Kim to be a part of your next content piece. So get ready to face the fact that leads may not come pouring down on you right away. Interviewing remains one of those activities which we marketers think we know all about it; we have been lulled by habit. Interviews present limitless opportunities to create affordable content that serves as a foundation for building long-lasting relationships with influencers. Oftentimes, presentation of some of the interviews lacks enthusiasm, and as a result, doesn’t spark interest in as many people as we’d sometimes like. However, that’s the exact way you can win the influencer’s followers. I would recommend implementing your outreach strategy on LinkedIn because its messenger allows you to see whether a message was read by a person or not. This feature is truly a game changer: it saves you hours of time and a priceless amount of effort so that you don’t waste your time bombarding someone with useless emails when that someone is trying to politely ignore you. The most convenient way to ask an interviewee your questions is to share a Google Document where a person can answer your questions at their own pace. Most likely, it won’t be ranking well on Google because, unfortunately, people aren’t interested in linking to such type of content. Tends to only work once. We live in a time when we deal with making a decision on a daily basis. Do I want a grande latte or just tall? Should I care about link building or not? What online marketing tool I like the best? We heavily rely on experts’ opinion because they have already spent time researching the topic and know much more about it. An online marketing hustler named Robbie Richards has figured it out, and his articles like the one that aggregates opinions of 67 experts about competitor analysis tools gained a lot of popularity. Find experts that specialize in a particular niche (e.g. content marketers or SEOs). Then, connect with those experts and ask them about their favorite tool that helps them report to their clients or assist them in a daily keyword research activities. 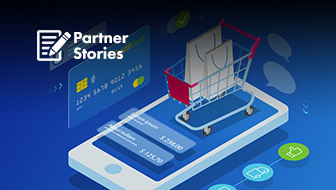 If you have enough budget, you can speed things up a little by running ads on Twitter and Facebook where you’ll be asking experts to take part in your short yet very important survey. It takes time to collect enough answers for your content piece. This content is only relevant and useful until the next tool release or update rolls out. So the value of such content is temporary. Brian Dean’s posts consisting of meticulously thorough lists of marketing tools will never go out of style. But there’s a reason for that. He keeps up with an unthinkable amount of updates and makes sure he mirrors all of them in his posts. Keep this in mind if you strive to create evergreen content. Research similar posts and find experts that are currently actively contributing to other blogs. Send emails to experts or contact someone in the company you wish to list in your article. Reach out to experts/brands that won’t hold back and will be actively promoting your piece of content once it goes live. Create personalized images so that companies and influencers will be sharing exclusive custom-made content on their social media channels. This type of content requires to be updated on a regular basis, otherwise it’s going to lose its value by quickly becoming outdated which, in turn, will increase your site’s bounce rate. If you select tools or experts that aren’t interested in giving you a shout out on social media, then your post will stay in the shadows. Sometimes, you find random names listed as the best experts ever, or some of the tools you’ve never heard before as the award winning ones. This is a bit odd, to say the least. But it is also inevitable if you’re trying to get more publicity. This is my favorite type of content because in the majority of cases it works very effectively both long and short term. Research will always provide value to your audience, and bloggers and journalists within your niche will also find this data appealing and will mention your work in their next publication. The great thing about research is that you kill two birds with one stone: it allows you to build relationships with influencers and attract high-quality links. Find the burning question in your industry, or provide an empirical information regarding a controversial subject. In the majority of cases, it’s easy to define the right kind of topic if you know your industry well. 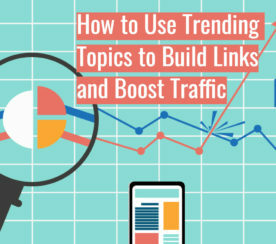 If you have no idea what’s currently trending in your niche, then you can use BuzzSumo to find a few ideas or go through the most trending discussions on Quora or Reddit. Decide what will your research be based on: will you be using an already existing data sources, or run a new survey among relevant audiences? Don’t forget to include experts’ opinions. Ask them to comment on some of your findings, this might even generate more buzz about your article. You can spend hours on researching data and running your analysis, but your efforts may be futile because your article may not go viral. It’s not so easy to get through to researchers and experts, and it requires some leg work prior you reach out to them. Don’t start working on this content unless you have a meticulous plan describing how you’re going to distribute it. There are different types of scenarios of how people will react to your findings. People might give you a standing ovation by liking and sharing your content. Or, they might throw a couple of angry comments at you. Here’s a great example of how people welcomed/resented the recent ranking factors study published by SEMrush . Many of the best things in life are free. Such as this type of content. When it comes to guest posts, the only thing you need to do is publish it. Then you can sit back and relax. Find experts that are currently contributing to other blogs within your industry. To save yourself some time, use BuzzSumo that allows you to export data about posts on any blog where you find a column of an author that interests you. I’ve discovered that when it comes to guest posting, you need to establish a relationship with an expert first, only then you can take the next step and offer him/her a guest posting opportunity. So I highly recommend to share an expert’s content across your social media channels, and after the word is out there send him/her an email or reach out on good old social media. Unfortunately, in most cases, the quality of this content is poor because it doesn’t provide any significant value. People take advantage of this content to link back to their resources and sites of their clients. Sadly, some of those resources turn out to be spammy or just not worth to be linked to. You may need to rewrite some parts of the post because guest contributors tend to work with copywriters that have a very poor knowledge of English. So be very careful. 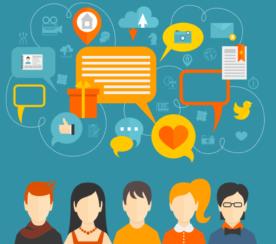 Building relationships with the right influencers can extend your reach and boost your online traffic. Influencer marketing is definitely hard work, but it can be one of the most important and rewarding tactics. Consider investing in at least one of the content types described above, analyze how it performs, and focus on what works best for you. Remember to be original with your social media posts and your content. You want people to know that there’s a human being behind your posts.